In 2018, SALT partnered with Valparaiso University’s Working Across Vocations Everywhere through Service (WAVES) to fund the construction of an affordable vocational training center that utilizes reusable materials and renewable energy in Les Cayes, Haiti. Haiti remains the poorest country in the Americas with 59% of its inhabitants living under the national poverty line of $2.41 USD per day. The Consolation Center of Les Cayes, Haiti (CCH), an orphanage and educational center, is striving to break this cycle of poverty. The CCH currently provides housing for 175 students and has over 300 students enrolled in their primary and secondary education centers. By order of the United Nations, Haitian orphans are required to leave the orphanage at age 18. This time frame prevents the CCH from providing the students with an education beyond a high school diploma. As a result, many CCH students lack the access and opportunity to find employment following their time at CCH. To combat this cycle of poverty, CCH, along with the partnership of WAVES, sought to construct a vocational training center built from reusable shipping containers. This vocational center would hold classes to teach sewing, carpentry, welding, metal work, entrepreneurship, accounting, 3D modeling, and 3D printing — all of which emerged from identified community needs. SALT’s 2018 World Relief Campaign provided the $25,000 needed for building expenses, classroom expenses, and solar energy. In 2017, SALT partnered with Mercy Medical Center to provide funds for their medical center in Bukasa, Uganda. In Uganda, malaria is responsible for 42 child deaths each day. Acute respiratory infections are also prevalent and only half of children who experience them receive treatment. And, some children are still born with HIV/AIDS due to a lack of diagnosis for the mother. The Mercy Medical Center (MMC), located in Bukasa, Uganda, desires to diagnose, treat, and prevent blood-borne illnesses and bacterial infections that continue to plague the people of Bukasa. MMC sees approximately 450 people each month with services being provided at little to no cost to the patients; if patients are unable to pay, they are never turned away from the clinic. However, prior to the 2017 World Relief Campaign, the Mercy Medical Center lacked the equipment necessary to diagnose blood-borne and bacterial infections such as malaria. The $25,000 raised from SALT’s 2017 World Relief Campaign funded blood, urine, and hematology analyzers; bacteria incubators; a centigrade blood refrigerator; staining racks; and a water purification system for the Mercy Medical Center. 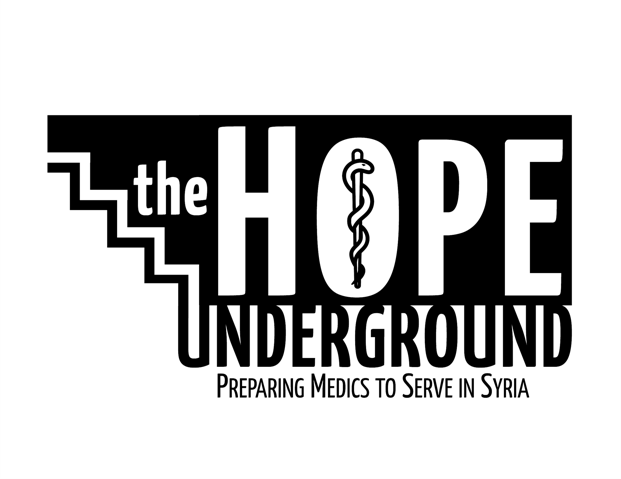 In 2016, SALT partnered with the Promise for Relief and Human Development (PRHD) to fund a new medical center in Ghouta, Syria. On March 18, 2011, a civil war in Syria began as protesting citizens sought the resignation of their President Bashar al-Assad. The government responded with violence, and as of 2016, more than 240,000 Syrian citizens had been killed and more than 4 million Syrian citizens fled for safety. With escalating violence in the country, the ability to get good medical care declines. Promise for Relief and Human Development (PRHD) offers a solution to this problem. PRHD is a non-profit, non-political, non-religious movement for constructive social change and community empowerment through education, healthcare, and basic economic development. In 2016, PRHD started the Ghouta Medical Institute in Ghouta, Syria. Once up and running, this medical institute would graduate 90 students every year who would be trained in anesthesiology and laboratory practices by specialized physicians who currently work and reside in Syria. Upon graduating, these students would join trained medical teams in PRHD field hospitals to serve the growing number of wounded Syrians. The $30,000 raised from SALT’s 2016 World Relief Campaign funded classroom supplies; fuel for heat, electricity, and transportation; 450 textbooks; and instructor salaries in order to fund two areas that are currently lacking in Syria: healthcare and education. In 2015, SALT partnered with A Leg To Stand On (ALTSO) to bring mobility to 400 children in Afghanistan by providing Prosthetic Limbs, Orthotic Devices, Mobility Aids, and Prosthetic and Orthotic Repairs & Adjustments. For the last 30 years Afghanistan and its people have suffered the effects of war and conflict as well as rampant poverty and high unemployment. As a result, Afghanistan’s healthcare infrastructure is unable to care for its population, especially women and children. There are thousands of children all over Afghanistan who have little or no mobility and do not receive medical attention of any kind. A Leg to Stand On (ALTSO), however, seeks to address this injustice. ALTSO is a non-profit organization that provides free prosthetic limbs, orthotics devices, mobility aids, corrective surgery, and rehabilitative care to children in the developing world who have lost limbs in traumatic accidents or suffer from congenital limb disabilities. SALT’s 2015 World Relief Campaign set out to raise $25,000 in order to fund 10 prosthetic limbs, 415 orthotic devices, 45 mobility aids, and 44 prosthetic and orthotic repairs and adjustments. In 2014, SALT worked with Grain of Rice Project, an organization based in Valparaiso which works with artisans in Kibera, Kenya. Kibera is a single square mile outside of Nairobi which is home to 235,000 people living in small, overcrowded shacks. Many residents make all their purchases within Kibera and leave about once every few months unless employed outside of the slum. Grain of Rice Project works with Kenyan people so that they can become self-sufficient through employment, education, and skills training. The WRC grant allowed them to move their workshop space into a more permanent neighborhood in the slums. They were also able to purchase furniture including tables, chairs, sewing machines, a bed for volunteers, ironing board, refrigerator, etc. and start in a fresh clean space. Since 2014, Grain of Rice Project has grown from 8 artisans to now over 25. Their kids program has also grown to support 40 kids and they also now run a soccer team ministry for teen boys and a girls empowerment program. 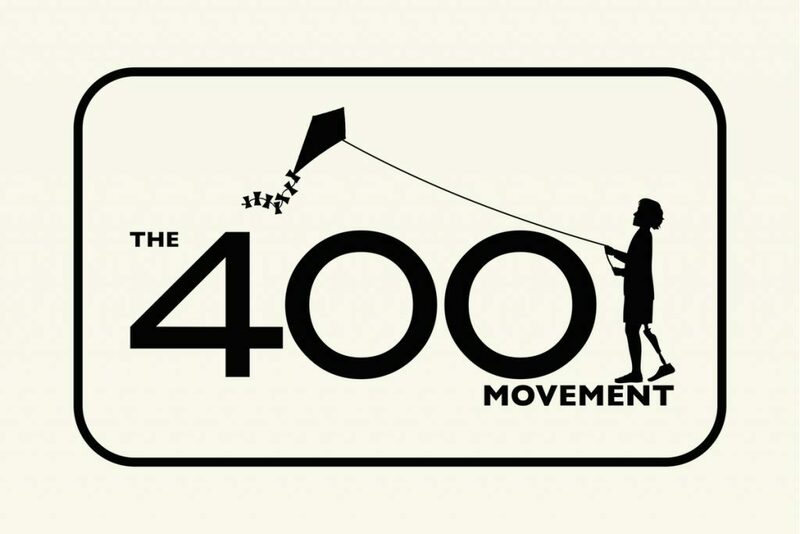 Each week, Grain of Rice Project works directly with 75 people. Since the WRC, 2 of the artisans, Belinda and Pamela, have moved out of the slums. Pamela saved money from her job with us to purchase land in Western Kenya. Many of their artisans can now provide basic needs for their families, which wasn’t possible before. Many Kenyans have told Grain of Rice Project that their organization is different because we are giving people a sense of hope. In 2013, SALT partnered with Red Cloud Indian School based in Pineridge, South Dakota to provide document cameras and LCD projectors for all K-5 classrooms. This school works with Lakota children, and after the WRC grant, the school had the capacity to educate, feed, and inspire 600 students. The Red Cloud curriculum focuses on the fundamentals of a solid education, including math and reading, science and physical education. 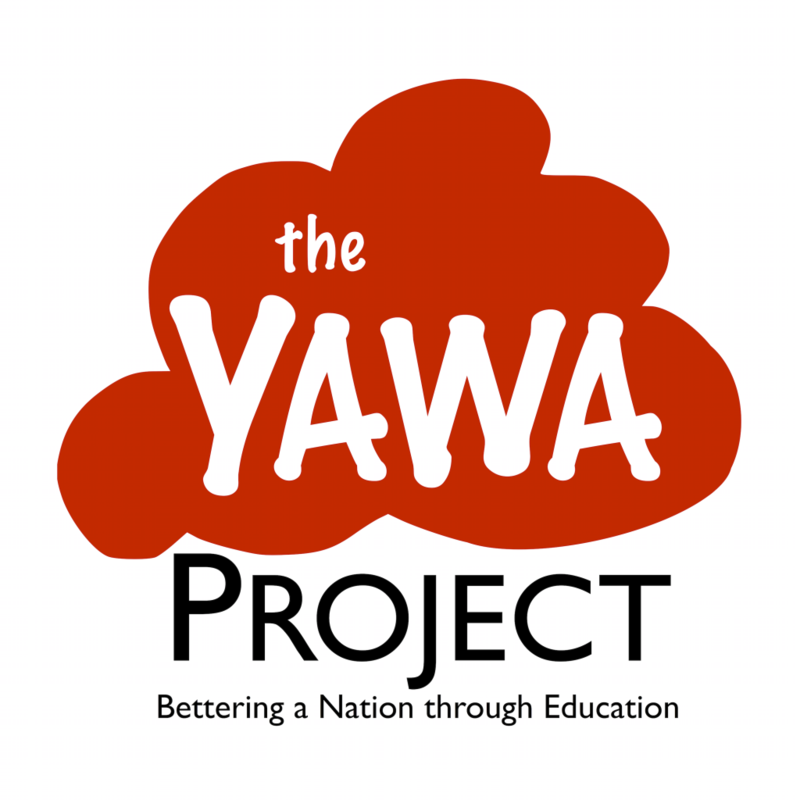 They offer classes in Lakota language and Lakota studies, and after-school programs throughout the year, including during the summer, give students an opportunity to extend their learning beyond the classroom.The Yawa Project ultimately raised $20,139.71 for Red Cloud Indian School. 2012 --- Kenya Dig It? In 2012, SALT directed its World Relief Campaign efforts to the Bungoma District in Kenya. Kenya, located in eastern Africa, has struggled as a country due to years of corruption. In particular, access to healthcare is a growing concern in the country because of clean water access, sanitation, infectious diseases, and HIV/AIDS. SALT partnered with Vision for Kenya, a not-for-profit based in Chicago, Illinois. Vision for Kenya was founded by five native Kenyans who pursued higher degrees and established themselves professionally across the United States. Vision for Kenya volunteers their time and lends their policy expertise in order to develop practical and improved operational methods that increase Kenyans’ access to health care. At the time of the campaign, the Lugulu Hospital in Bungoma County operated with a single decrepit well that could not supply the hospital with the amount of water it needed to run efficiently. As a result, the patients had to bring the needed water for their own healthcare procedures. To make clean water accessible at the Lugulu Hospital and in the surrounding community, SALT’s 2012 World Relief Campaign set out to raise $14,000 to fund the building of a well at the hospital in Bungoma County, Kenya. In 2011, SALT partnered with the Masaera Village Community Development Group (MAVCODEG), an organization that works on sustainable projects to benefit the village of Masaera, Tanzania. In 2011, MAVCODEG had recently started working alongside Mandaka Primary School to help enhance the education of the children in the Masaera village. MAVCODEG saw the need to partner with Mandaka Primary School because after primary schooling, only students who pass a nationwide exam can continue their education in secondary school while the rest go to vocational schools or simply return to agricultural labor in the village. At the time, there was no pre-primary classroom (kindergarten) at the Mandaka Primary School. As a result, the $12,500 raised from SALT’s 2011 World Relief Campaign went towards funding the construction of a pre-primary classroom for the Mandaka Primary School. In 2010, SALT partnered with Centro Infantil Cristiano Nicaraguense (CICRIN), an orphanage located on the Ometepe Island in Lake Nicaragua. Nicaragua remains one of the poorest countries in the Americas. CICRIN, a non-denominational Christian orphanage, houses children due to a variety of family situations including death or abandonment by parents because of war, disease and poverty, and physical and sexual abuse. In 2010, a new government plan called for the closure of all orphanages and for children to be placed back with their families or in foster families. As a result, CICRIN decided to build small single-family homes on the orphanage’s land and select couples to serve as government-approved foster families for the children, thus keeping continuity with the safe and nurturing environment the kids came to know at CICRIN. To take part in CICRIN’s mission, SALT’s 2010 World Relief Campaign raised the $12,500 needed to construct a foster home in Los Angeles, Nicaragua. 2009 - Shui 2 Go! In 2009, SALT partnered with Concordia Welfare and Education Foundation (CWEF) to fund a sustainable pipeline system in China’s Yunnan Province. Yunnan Province sits in the southwestern corner of China; it is a land of great geographical diversity with the majority of its people living in rural areas across the varied terrain. Concordia Welfare and Education Foundation (CWEF) is a Hong Kong based non-profit organization that partners with local communities, organizations, and governments to identify sources of poverty and implement education and community development programs. In Shuangjing County, where Saihan village is located, only 30% of all villages have clean drinking water. Village women spend 2-3 hours everyday to gather water for their families. Fortunately, there are many mountain springs with consistent water sources in the Lincang prefecture in southwestern Yunnan. CWEF works with the local governments to test the water source and design a gravity-fed system which pipes the water without use of a pump to a cistern on the edge of the village. The water is then piped from the village cistern to each village household. To respond to Saihan village’s lack of accessible clean drinking water, SALT’s 2009 World Relief Campaign set a goal of $15,000 to fund a sustainable pipeline system to the Saihan village. In 2008, SALT partnered with the Center for Pesantren and Democratic Studies (CePDeS), an organization located in Indonesia whose goal is to foster open-minded and tolerant Muslims capable of materializing Islam’s vision for humanity. Indonesia is home to the world’s largest Muslim population with over 86% of its inhabitants following an Islam influenced by Buddhism and Hinduism. CePDeS desires to nurture progressive, open-minded and tolerant Muslims through democracy and human rights education for students of pesantren (Islamic boarding schools) and the communities at large. With a Child Creativity Center in Jakarta, Indonesia, in 2008 CePDeS was looking to create another center in their Jombang location. This center would be a place where elementary and junior high school students can play, read, watch educational films, listen to music, learn to read the Qur’an, or learn how to use a computer. In addition to nurturing creativity, the center would also serve as a medium to nurture tolerance and peaceful coexistence among religions. Over the course of the 2008 World Relief Campaign, SALT raised the $11,650 needed to fund the Child Creativity Center in Jakarta, Indonesia. These funds went towards books, computers, and children’s music as well as operational costs for the first year that the center was open. In 2007, SALT partnered with World Harvest Mission (WHM) to create a more sustainable and locally-based food program in Bundibugyo, Uganda. The people of Uganda have experienced a sizeable amount of political unrest. Where political unrest is prevalent, malnutrition of children is also commonplace. However, the children’s bodies do not have the strength to fight off diseases that may inflict them in this developing country. The United Nations World Food Program, which had been easing the suffering of malnourished children and adults, pulled out of Uganda in November of 2007 because Uganda was no longer considered a warring nation. As a result, the $10,000 raised from SALT’s World Relief Campaign went towards a three-part nutrition project instituted by World Harvest Mission. The funds went towards creating nutritional recipes using local foods, training community members in the distribution of these foods, and providing a base of local foods including goats, chickens, and groundnuts to the community of Bundibugyo, Uganda. In 2006, SALT partnered with International Child Care, an organization located in Haiti, in order to fund a permanent medical clinic in Jolitrou, Haiti. Haiti’s long history has been marked with instability and continual poverty, rendering it the poorest country in the Western Hemisphere. This poverty has led to insufficient health care of Haitians, and the lack of proper health care has caused Haitian families to sink further and further into poverty. Working in Haiti since 1967, International Child Care (ICC) seeks to address access to health care, sanitation, education, and nutrition. ICC has an Integrated Community Health Program in the village of Jolitrou to provide the residents with technical and financial assistance for their health care endeavors. In 2002, the village residents raised enough money to buy a small plot of land on which they intended to build a permanent health clinic. As of 2006, they had not yet been able to raise the $10,000 needed to construct the physical building and supply the clinic with furniture and basic needs. As a result, SALT’s 2006 World Relief Campaign set out to raise the $10,000 needed to build and supply a permanent medical clinic in Jolitrou, Haiti. In 2005, SALT partnered with Project Peanut Butter, an organization in Malawi, Africa that strives to treat malnourished children. Today, over 90% of the eleven million Malawians reside in rural areas and work as subsistence farmers while feeding themselves off the land’s products. As a result, 70% of their diet is based on corn and corn dough. Like much of the developing world, childhood malnutrition is a chronic problem — 70% of the country’s children have chronic malnutrition and 13% of all children under 5 years of age die from malnutrition. Project Peanut Butter, a therapeutic feeding project in Malawi, seeks to treat severely malnourished children through a locally produced protein/vitamin/fat rich supplement that looks and tastes like peanut butter. Project Peanut Butter has seen incredible results as they treat over 2,000 children annually with 80% of those recovering to full health within six weeks. Project Peanut Butter’s cooperating company filed for bankruptcy in September of 2004. To continue the production of their food, Project Peanut Butter needed to purchase a roaster, grinder, and packaging device for the peanut butter in order to continue operations. SALT successfully raised the $10,000 needed to purchase the equipment and fortified peanut butter for fifteen cities in Malawi. In 2004, SALT partnered with the Crow Creek Sioux Reservation located in central South Dakota. While the Lakota Sioux have a rich cultural heritage and vibrant spirit, they have been neglected by the U.S. government and overlooked by the country’s people. As of 2004, the high school dropout rate among the Lakota Sioux was 75%, and no student on the Crow Creek Reservation had ever graduated from college. While the children attend school on the reservation, their classrooms are severely lacking in supplies, technology, and educational materials. Prior to the World Relief Campaign, the entire school library consisted of books donated in the 1970’s with few of the books speaking to the traditions of the Lakota people or appealing to the students’ interest. As a result, SALT’s 2004 World Relief Campaign raised $10,000 for the people of Crow Creek to purchase new books for the reservation’s school library.